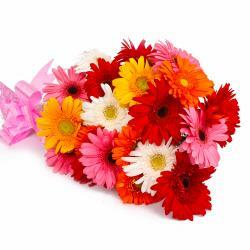 Product Consist : 15 Pink Gerberas with green fillers in Tissue Wrapping with Ribbon Bow on it. 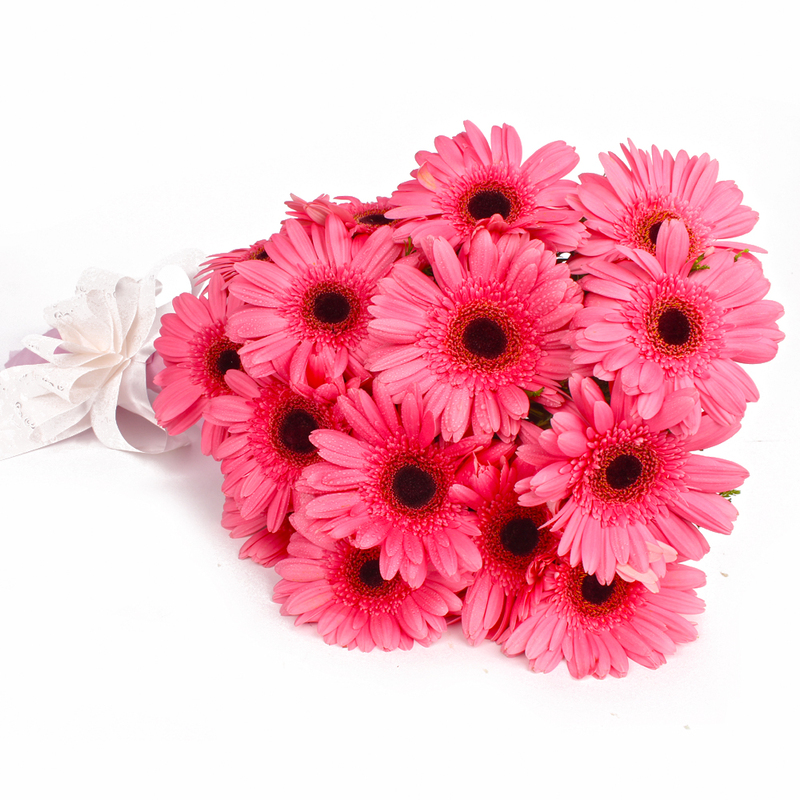 Express your love and good wishes for friends and family through this lovely Pink Gerberas bouquet. 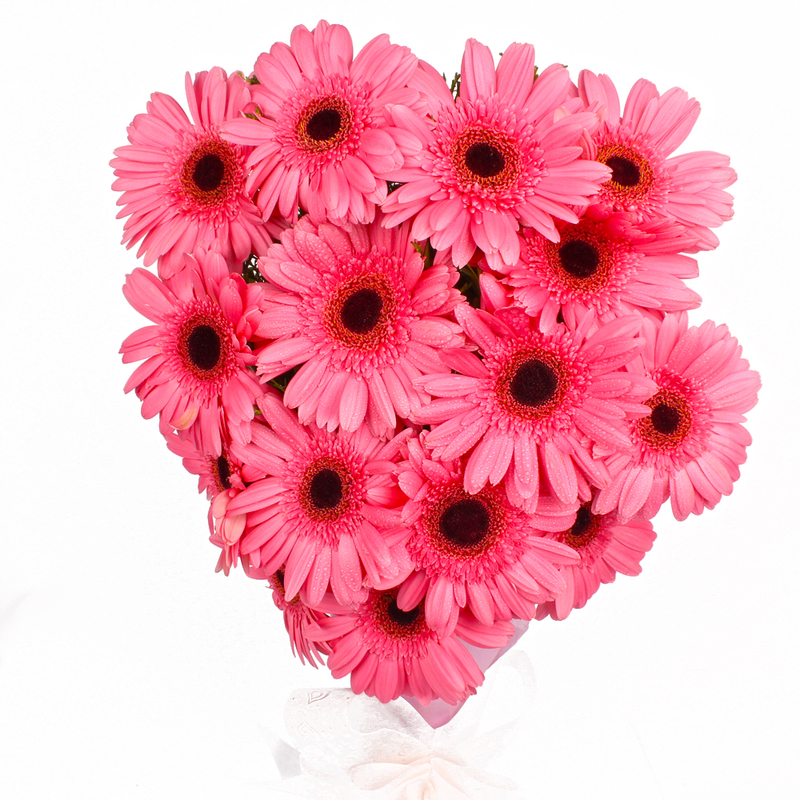 It contains Fifteen Pink Gerberas that have been carefully wrapped in tissue paper. A bow has been tied around it with matching ribbon to complete its look. 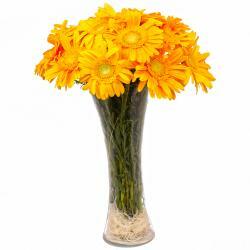 The flowers look radiant, delicate and will definitely tug at the heartstring of the recipient. 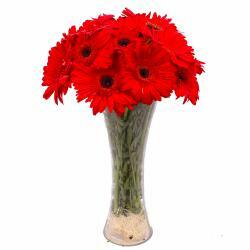 The bouquet is a great gift to be given on Birthday, Anniversary, New Born, Janmashtami, Grandparents Day and even just like that. 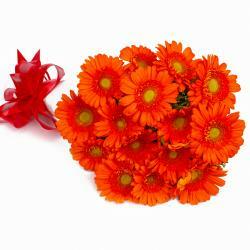 Product contains : 15 Pink Gerberas with green fillers in Tissue Wrapping with Ribbon Bow on it.